Salam and Hi Malaysian Babywearers! Thank you for your patience everyone!! 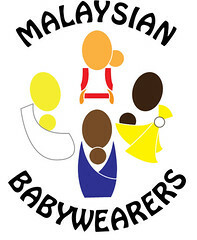 Announcing the winners for International Babywearing Week (IBW) 2012 Online Picture and Poster Contest. Without further ado, here are the winners! RM200 e-voucher valid for a custom slot for a carrier of your choice. Mama Patch Raw Ring Sling. All winners for this contest were selected by votes from our sponsors and prizes were determined by random.org draw.